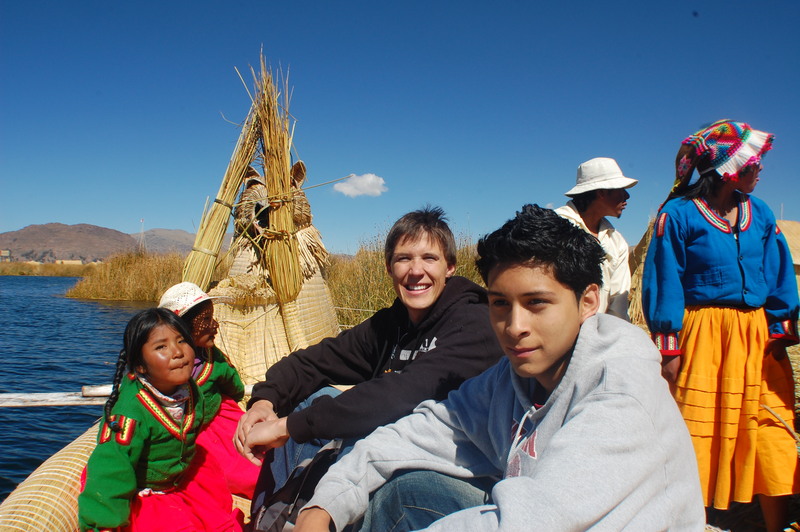 Over a three week period in 2008, my family and I had the chance to experience the incredible diversity of Peru. A couple weeks ago I described the experience in going to see the Condors in Colca Canyon, which was awesome. 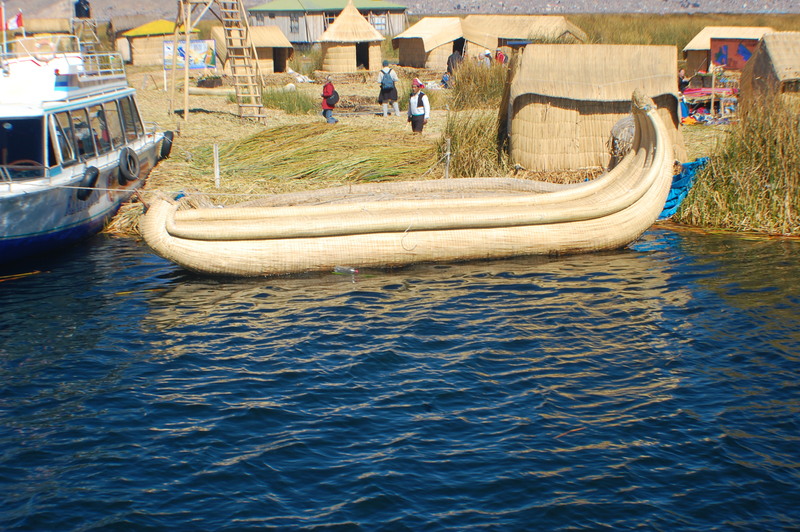 Another super cool trip was to Puno, to go visit the Uru people on the floating islands of Lake Titicaca. Leon, Richard (my father-in-law) and I made the trek, as the harsh climate and altitude weren’t for everyone in our group, some of whom were suffering from a cold. 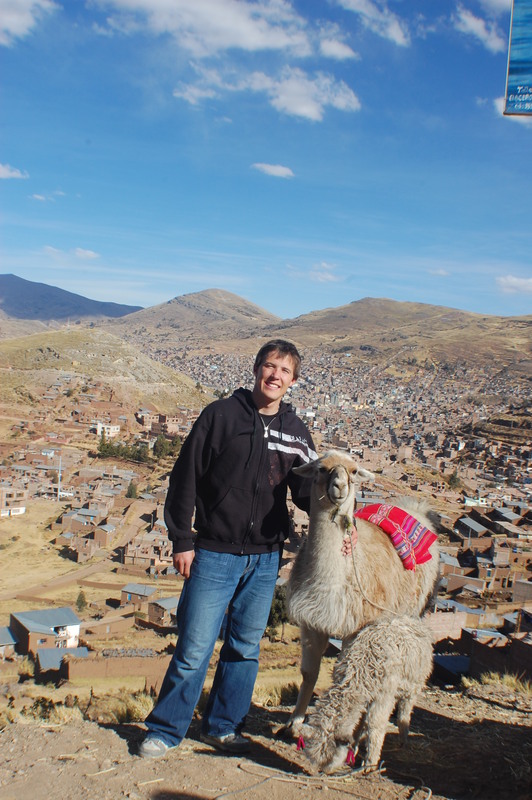 Leon and I headed to Los Uros. It was mind-blowing. 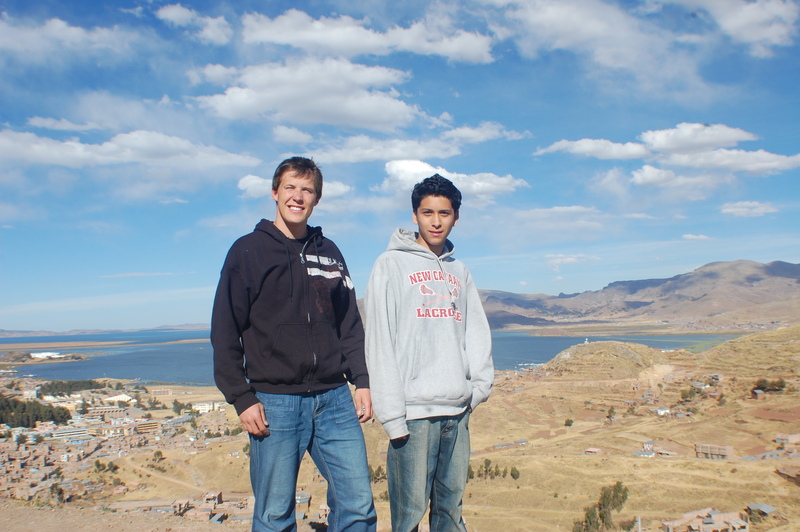 We started out in Puno, on the edge of the lake. 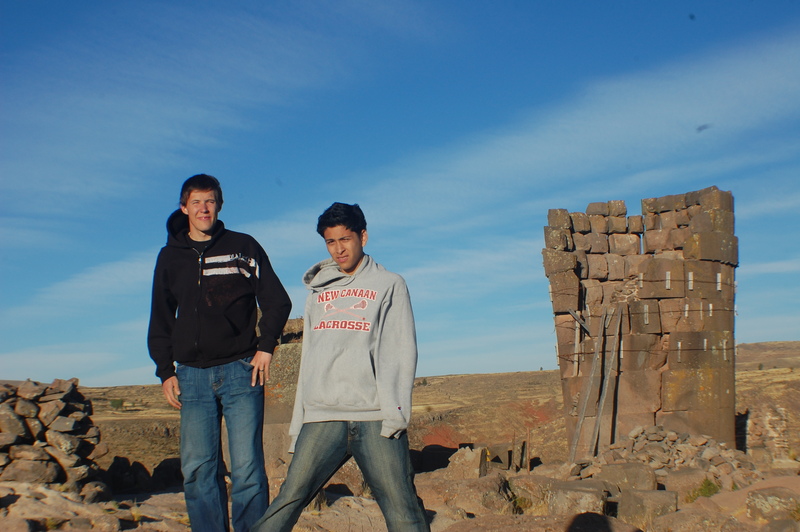 Puno sits at 12,556 feet! The extremes in the temperatures are harsh and it is not a climate for the soft. 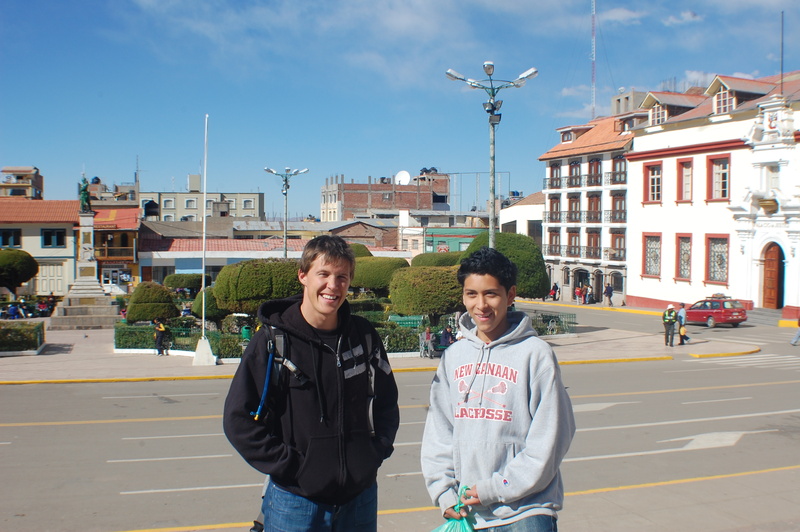 The town itself is super cool, with a beautiful central plaza and cathedral, looking out towards the lake. The lake, the largest in South America by volume, is absolutely enormous! The shoreline is almost 700 miles long, its over 100 miles long and 50 miles wide. It is unbelievably big. 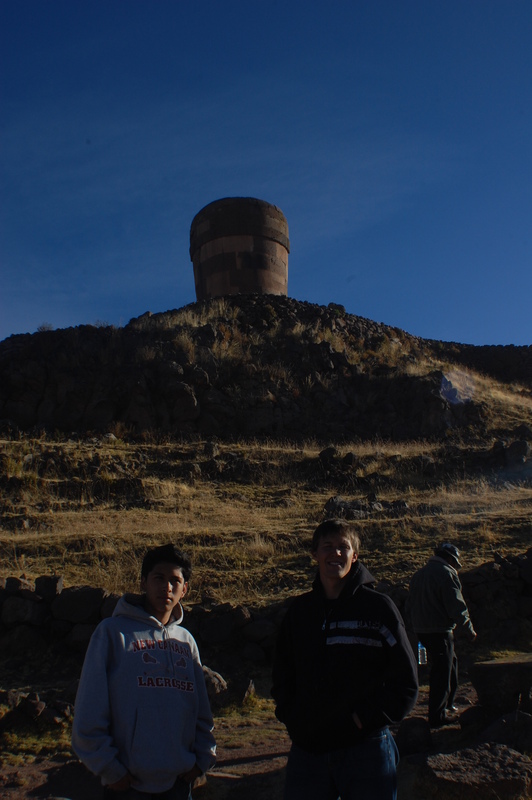 Also nearby to Puno are the Sillustani Towers, a pre-Incan burial ground for the Colla people, who, like pretty much anyone alive in the region, were conquered by the Incas. The Incas were mean motor scooters. 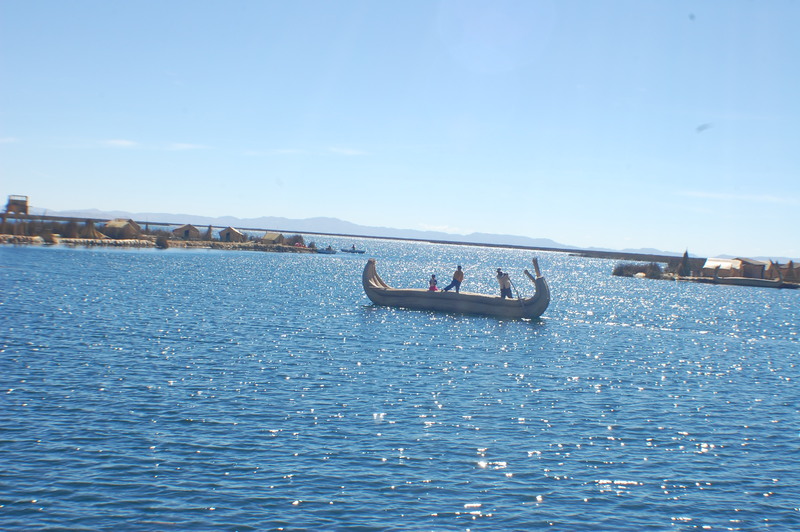 The burial grounds are on the edge of Lake Umayo, providing for some really cool views. 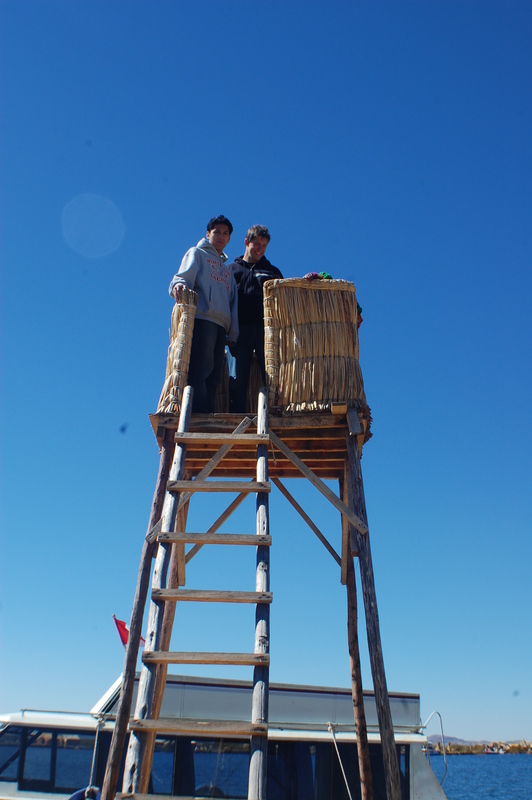 Leon and I with a chullpa, or burial tower. Some were 15+ feet high. Its a bad shot, but this gives you a sense of how big some of the towers are. 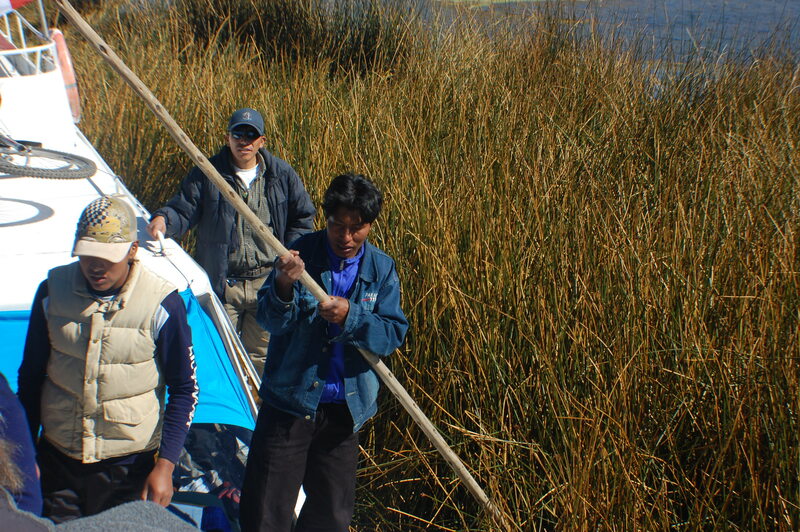 When I say visiting the Uros are like going to another world, I mean it- you travel back in time to almost the primordial soup! 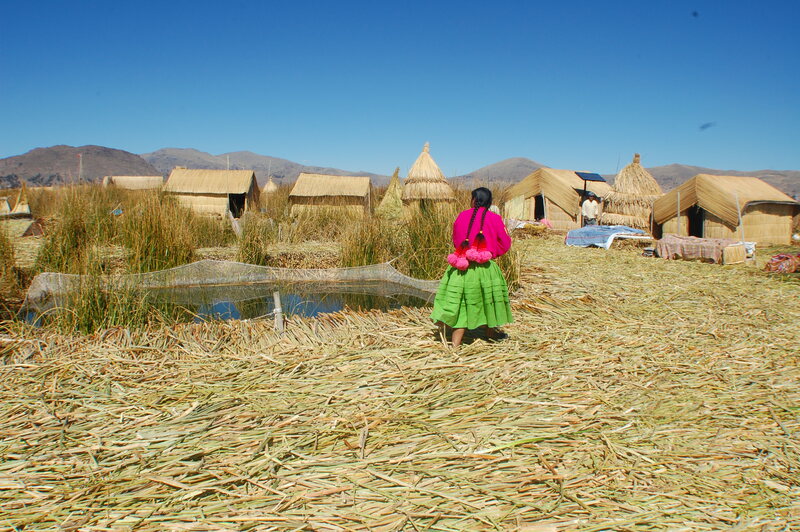 I’ve never personally experienced a more primitive culture, and what’s more is that the group that I visited was actually the modernized group, the ones living closest to the city of Puno. 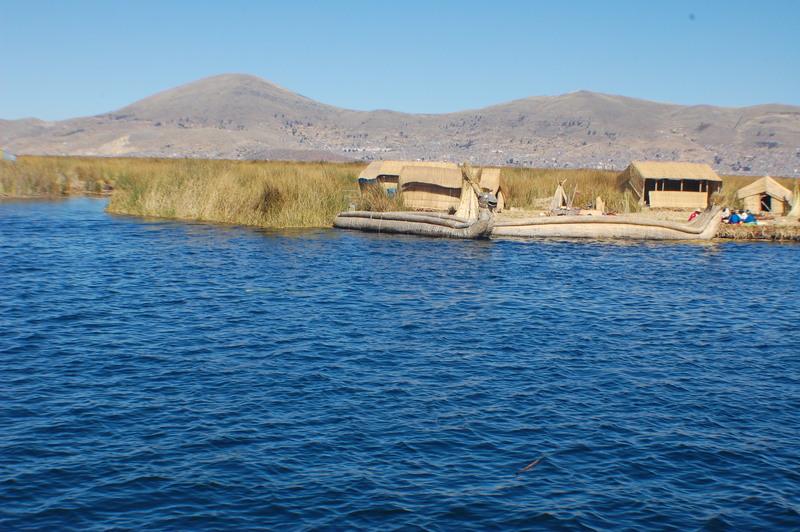 There is another group of people that live hours from Puno by boat way out in the middle of Lake Titicaca who are even more primitive. That said, they don’t reject modern technology wholly and I’m sure there are actually more primitive people in the Amazon jungles and whatnot. But for me, their culture was a pretty wild experience. An Uru island neighborhood. They catch fish in those nets. We had the opportunity to visit a number of different islands. The Uru people abandoned their language a long time ago and now speak Spanish, as far as I could tell. Richard and Leon could converse with them and were able to ask a bunch of questions on my behalf!